The Hamas-run agriculture ministry in the Gaza Strip is banning all imports of Israeli fruit, according to Palestinian media reports, over Jerusalem’s decision stop importing Palestinian produce from Gaza in response to the incendiary kites and balloons that have been flown into Israeli territory over the last few months. Kerem Shalom, the only cargo crossing between Gaza and Israel, has been subject to a strict blockade for the past 11 years that Israel says is meant to prevent terrorist groups from bringing weapons into the Strip. Egypt also tightly controls the nearby Rafah border crossing into the Sinai. A delegation of senior Hamas officials will arrive in Cairo tomorrow evening to discuss bilateral ties with Egypt and “ongoing developments related to Palestinian and Arab affairs,” Hamas says in a statement, without elaborating. Egypt has previously hosted Hamas officials in Cairo to talk about efforts to achieve reconciliation with Fatah, a possible prisoner swap deal with Israel and other issues, including easing the Egyptian-Israeli blockade on Gaza. The delegation will include Deputy Hamas Politburo Chairman Salih al-Arouri and several other senior Hamas officials including Moussa Abu Marzouk, Khalil al-Hayya, Husam Badran, Ezzat al-Rishq and Rouhi Mushtaha, the terror group says. The ex-husband of Ofira Chaim, whose body was found yesterday nearly three weeks after she was reported missing, is named the central suspect in the investigation into her murder. David Chaim and an unnamed relative appeared at Petah Tikva Magistrate’s Court this afternoon, where their remand was extended. Another female relative has been released to house arrest. Local media report that police suspect the murder may have been motivated by a family financial dispute. German prosecutors say a court has remanded in custody an alleged Iranian spy accused of plotting to bomb an Iranian opposition rally in Paris on June 30. The suspect, a Vienna-based accredited Iranian diplomat whom opposition groups have named as Assadollah Assadi, 46, is one of several suspects detained in Germany, Belgium and France. German prosecutors say that a court had two days earlier remanded Assadi in custody on charges of foreign intelligence activities and conspiracy to murder. They added that these charges did “not preclude” Assadi’s extradition requested by Belgium. In a Facebook post, the former Alaska governor writes that she and a daughter traveled across the country for what she thought was a legitimate interview. But she says Cohen had “heavily disguised himself” as a disabled US veteran in a wheelchair. The Simon Wiesenthal Center is slamming the sponsors of a major British music festival earlier this month for what it calls a “hate concert” after Roger Waters performed a highly politicized show. In a letter to Barclaycard CEO Barry Rodrigues, the Jewish group says that during the July 6 show, Waters displayed political messages and inappropriate behavior. The letter says that Waters held up a sign that said ‘F–k the Pigs!’ followed by images glorifying Russia, Putin, Iran and Julian Assange as well as anti-Israel slogans. US President Donald Trump arrives at NATO headquarters in Brussels for the first of two days of summit talks with allies. Trump is planning to press his counterparts to increase their spending on defense, having publicly criticized many European nations for failing to meet their commitments to the mutual defense pact. Leaders of the alliance are set to discuss their collective readiness, as well as the future of NATO’s mission in Afghanistan and combating terrorism. Trump is also set to meet with German Chancellor Angela Merkel and French President Emmanuel Macron on the sidelines of the meeting. The Islamic State jihadist group claims responsibility for a suicide attack in southern Syria that killed more than a dozen soldiers and pro-government fighters. The IS-linked Aamaq news agency carried the claim for the attack in the southern village of Zeizoun, which was captured by government forces this week as part of a major offensive against rebels in southern Syria. The Britain-based Syrian Observatory for Human Rights, a group that closely monitors the civil war, says the attack left 14 soldiers and pro-government gunmen dead. The attack came as government forces continued to mass troops on Wednesday ahead of an attack on the Yarmouk Basin region, which is controlled by the IS-linked Khaled bin Al-Waleed Army. The IDF says incoming rocket alert sirens are heard in the Golan Heights and the Jordan Valley near the Israeli-Syrian border. The army is investigating what triggered the sirens. Local residents reported seeing trails of smoke across the sky. 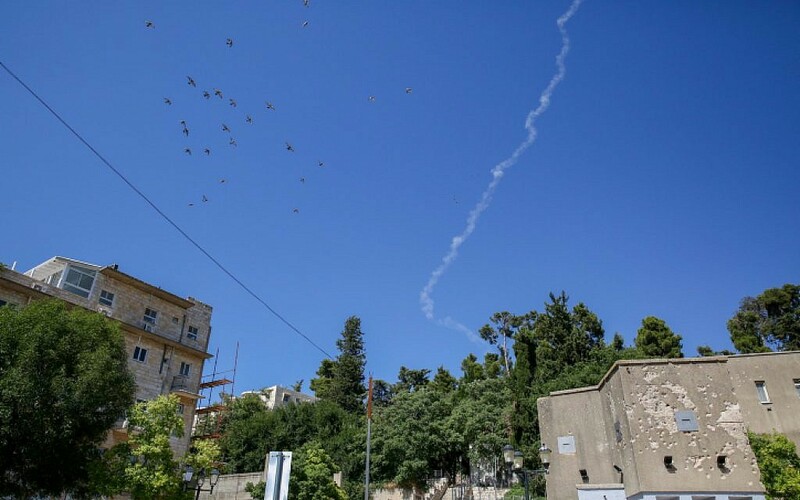 The IDF says a Patriot interceptor missile was launched at a drone that was heading toward Israeli airspace from Syria. The army says the launch of the Patriot missile triggered the incoming rocket alert sirens in residential communities in the Golan Heights and the Jordan Valley. Prime Minister Benjamin Netanyahu arrives in Moscow for talks with Russian President Vladimir Putin. Later today, Putin will also meet with Ali Akbar Velayati, a senior adviser to Iran’s Supreme Leader Ayatollah Ali Khamenei. The IDF tells residents of northern Israel they can return to their daily routine. The statement comes shortly the army after launched a Patriot missile at an unmanned aircraft that approached the Israeli border from Syria. The army is ordering all boats to clear out of the Sea of Galilee so forces can collect fragments of a drone that entered Israeli airspace from Syria. 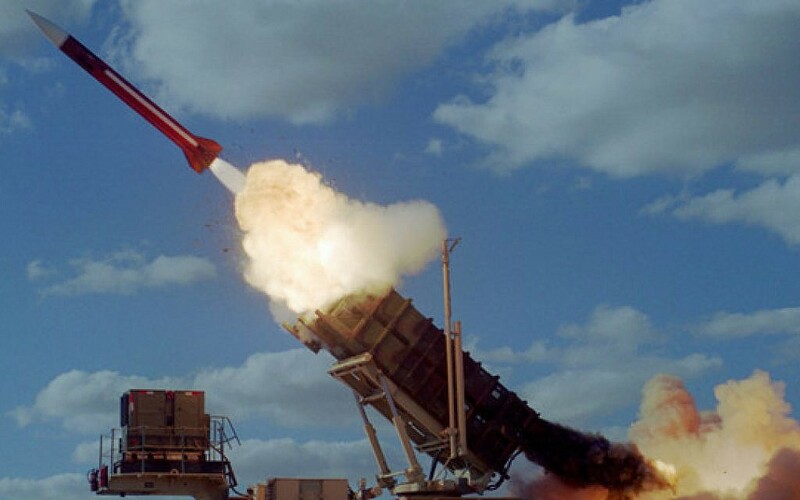 Earlier the IDF said a Patriot missile had downed an unmanned aircraft that was launched from Syria. 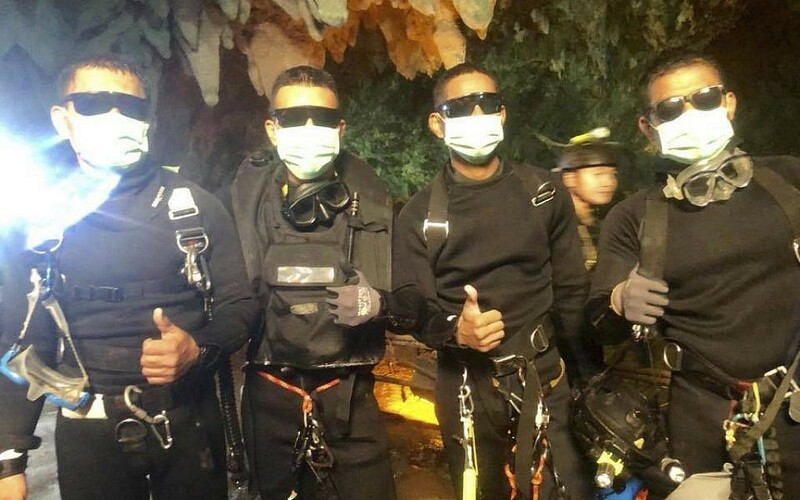 Footage of the remarkable Thailand rescue shows members of the group trapped in a cave being stretchered to freedom while seemingly heavily sedated and wearing wetsuits and diving gear. The footage, released on the Thai Navy SEALs Facebook page, shows a complex operation with numerous divers — both foreign and Thai — using pulleys, ropes and rubber piping to haul members of the football team to safety. French President Emmanuel Macron will hold talks with Russian President Vladimir Putin on Sunday during his trip to Moscow to watch the World Cup final, a presidential aide tells AFP. US President Donald Trump and German Chancellor Angela Merkel have met after the American leader publicly lambasted the longtime ally over its spending on national defense and a Russian oil pipeline. Trump asserted earlier today that Germany is “totally controlled” by and “captive to Russia” because of a pipeline project. Trump told reporters that the pair discussed the pipeline during their meeting. He did not elaborate. The army says the drone from Syria it shot down 10 kilometers inside Israel was under “full operational control” from the moment it was identified. An IDF statement says it waited to launch the Patriot missile at the UAV until after it had carried out a number of “defensive actions to prevent escalation” and until “optimal conditions” were available. 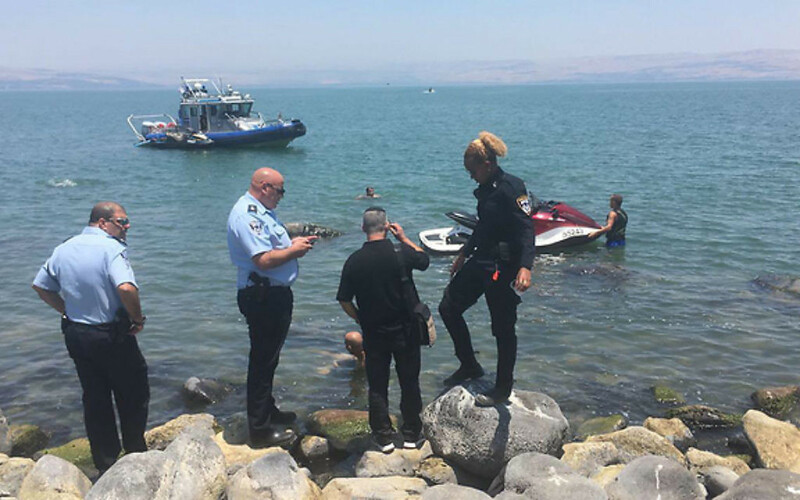 Fragments from the exploded drone were being retrieved from the Sea of Galilee this afternoon. In a statement, the army also says that it’s prepared for a “possible violation of sovereignty” in the Golan Heights as a result of the fighting in the area, adding that would not tolerate any violations of the 1974 ceasefire agreement along its Syrian border. The Turkish foreign minister defends his country’s purchase of a Russian-made air defense system, the first of its kind by a NATO member. Mevlut Cavusoglu insists “Turkey is a sovereign country” and says its acquisition of the S400 anti-aircraft system came only because it needed such a system and ran out of other options, such as from the United States. Cavusoglu spoke at a panel discussion Wednesday before a NATO summit in Brussels. The S400s wouldn’t be compatible with many other NATO systems that Turkey has and operates. “It is my urgent need and I tried to buy from many other countries — including China, but I get the best deal from Russia, and I bought it,” Cavusoglu says. A senior Palestinian official praises the Irish government for advancing legislation that would ban the sale and import of goods produced in Israeli settlements. “Those trading with Israeli settlements are complicit in the systematic denial of the Palestinian right to self-determination,” the statement says. 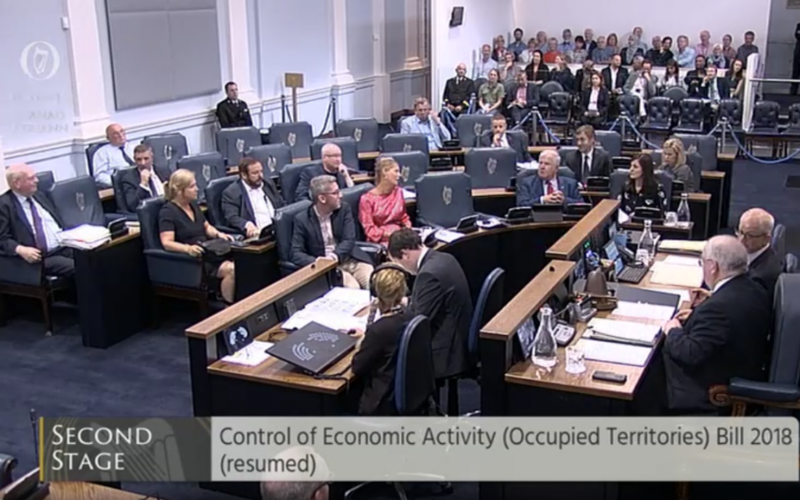 After the Control of Economic Activities (Occupied Territories) Bill 2018 was frozen in late January, it is now scheduled to be voted on in the Irish Senate later today. An Israeli drone fires near, but not at, a group of Gazans flying incendiary balloons into southern Israel, for the first time in approximately two weeks, according to Palestinian media. The Israeli military confirms that one of its aircraft fired at a cell that had launched balloons toward Israel from the southern Gaza Strip. IDF soldiers detain a Palestinian man who tried to cross into Israel from the southern Gaza Strip, the army says. The upper house of Ireland’s parliament advances legislation that would criminalize the import of and trade with goods produced in the settlements. The IDF releases footage of its anti-aircraft Patriot missile shooting down what it says was a Syrian drone that was flown approximately 10 kilometers (6.2 miles) into Israeli territory. The video shows the unmanned aerial vehicle flying through the sky before the interceptor missile comes streaking across the screen and smashing into it in a large fireball. Defense Minister Avigdor Liberman criticizes European countries for what he claims is their over involvement in internal Israeli politics while ignoring the Iranian government’s systemic human rights violations. 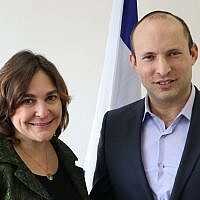 “European countries allow themselves to become involved in internal Israeli affairs including the protection of our borders, but they have no problem in giving money to the Ayatollah regime that puts an 18-year-old girl in prison for dancing without a head covering,” Liberman tweets. “If they were a little more upstanding and a little less hypocritical they would cut off all contact with the oppressive, murderous regime of Khamenei and his partners,” he says. Settler leaders condemn legislation passed by the upper house of Ireland’s parliament that would criminalize the import of and trade with goods produced in the settlements. He claims that such boycotts end up harming the Palestinians who work in Israeli factories over the Green Line. For their part, supporters of such targeted measures say that Israeli military rule in the West Bank cripples the Palestinian economy to the point where Israeli businesses are largely the only ones that can offer an adequate income to their employees. Alon says a new construction project that is currently going up in Beit El is the settlers’ response to the Irish legislation. Ireland’s ambassador to Israel has reportedly been summoned to the Foreign Ministry tomorrow for clarifications over proposed Irish legislation that would ban trade with Israeli settlements in the West Bank, Channel 10 reports. 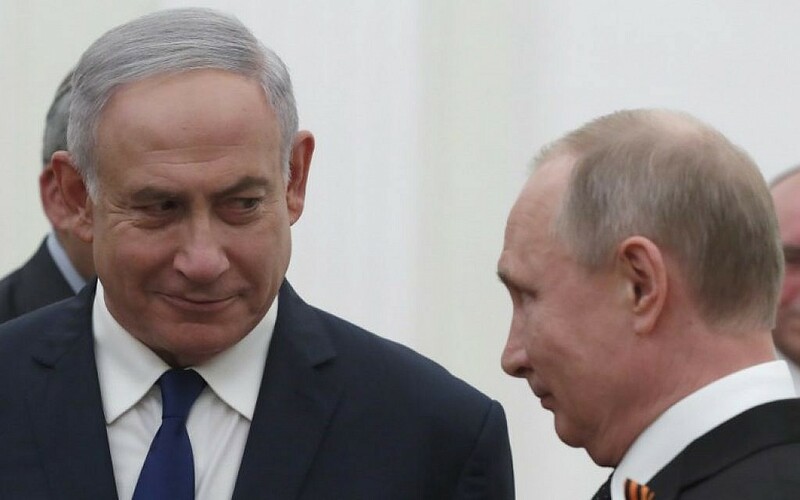 Netanyahu tells Putin in Moscow that Israel will continue to thwart any efforts to breach its borders, adding that Jerusalem was keeping a close eye on regional developments in Iran and Syria. Netanyahu also notes the drone that crossed into Israeli airspace earlier in the day before it was shot down by the IDF. “We will continue to act firmly against any violation of Israeli airspace or territory. We expect everyone to respect our sovereignty and for Syria to abide by the ceasefire agreements,” he adds. 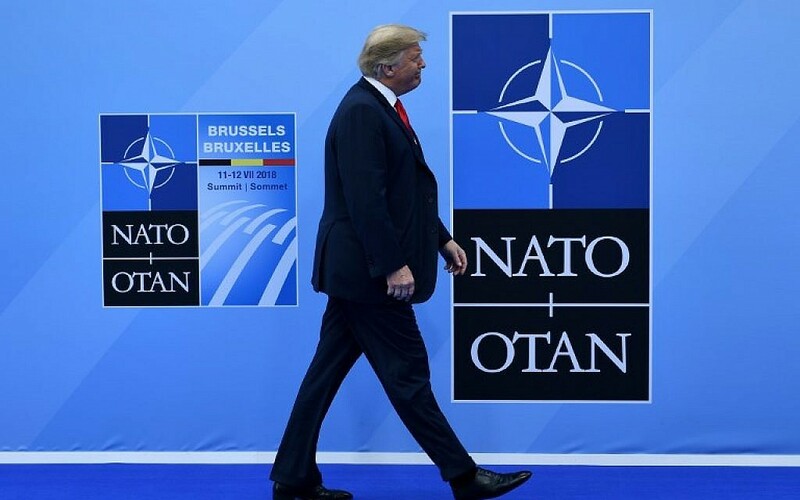 US President Donald Trump suggests that NATO allies commit to spending 4 percent of their GDP on defense, up from the current goal of 2% by 2024. It’s unclear by what date he’d like to see the increase. Trump has been pressing member countries to spend more on defense, accusing them of freeloading off the US. The family of the 7-year-old boy who was kidnapped from his home in northern Israel yesterday say they have reached a deal for him to be returned home, Channel 10 reports. According to the report, Karim Jumhour is healthy and well, but police do not know where he is being held. The kidnapping is believed to have been carried out by a crime family over unpaid debts. Jumhour was snatched from outside his home in Qalansawe, an Arab city in central Israel yesterday evening. A French court gives the green light for a suspect in an alleged bomb plot against an Iranian opposition rally to be handed over to Belgium. The suspected plan to target a gathering of the National Council of Resistance of Iran (NCRI) in a Paris suburb came to light a few days after the June 30 event. Six people were arrested in Belgium, France and Germany, two of whom were later released. 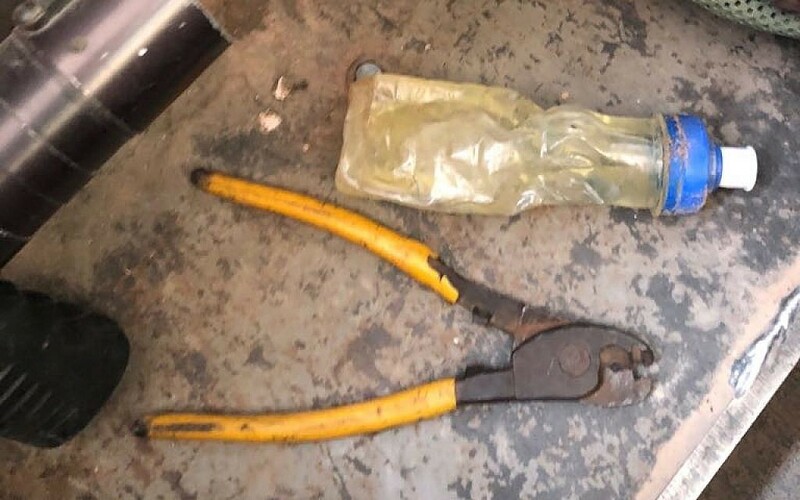 Belgian police believe the man arrested at a hotel in Paris, identified only as Merhad A. aged 54, is an accomplice of a husband and wife team caught in Brussels in possession of 500 grams of the powerful explosive TATP and a detonator. The couple were identified as Amir S., 38, and Nasimeh N., 33. All three are Belgian nationals of Iranian origin. Earlier today, German police swooped on an Iranian diplomat based in Vienna who has been named as Assadollah Assadi. German prosecutors believe Assadi, believed to be an intelligence agent, ordered the couple to attack the rally and had handed them the explosives at a June meeting in Luxembourg.